I just posted a drawing two minutes ago, but I need to keep up to scratch with this series and I forgot yesterday. SO. Here is my fourth instalment of the Keepsake Album. 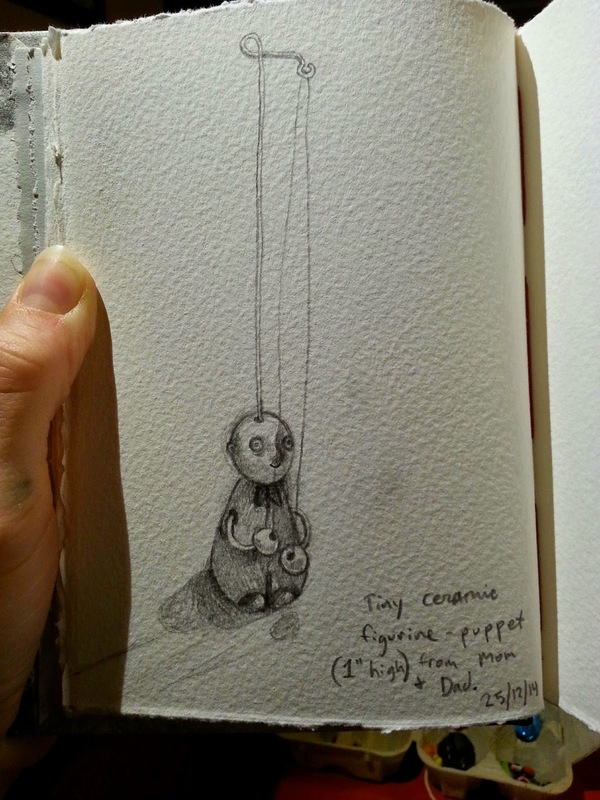 It is a tiny ceramic puppet that was given to me by my mother after a trip to Krakow. I suppose it was made there by a local craftsperson. Thanks, Mom! You have always known what tiny trinkets will make me smile. Have a lovely Boxing Day tomorrow. I'll be back tomorrow with some more keepsakes.